The AFC road to the Super Bowl XLV will officially go through Foxborough. 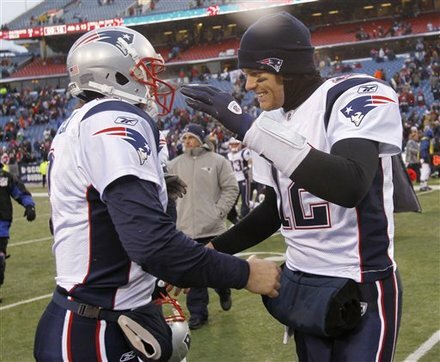 Sunday based on a very workmanlike 34-3 pasting of the Buffalo Bills, the Patriots clinched all they could in the AFC, as they will enter the playoffs as the conference’s #1 seed. The win means that the team will wrap up the regular season next week looking for their 14th win when they take on the Miami Dolphins at home. Then they will sit back for two weeks, and play a home playoff game in the divisional round on either January 15th or 16th against the lowest seed still remaining in the conference. If they win that, they will host the AFC Championship Game the following Sunday, and a win there and the team will have a shot to win another Super Bowl when it takes place in Dallas on February 6th. But that is a long way off, and no one in the Pats organization wants to look that far ahead. All that is known for sure is that this is a very good team, who came out and took care of business as they should against a four-win Bills team Sunday. Tom Brady set yet another passing record, as he threw three touchdowns, and extended his streak of attempts without an interception to 319 – topping the NFL mark of 308 set by Bernie Kosar with Cleveland in the 1990-91 seasons. A win over the Bills is nothing new for the Pats. They have won 15 straight over the Bills since a 31-0 drubbing at Buffalo during the first week of the 2003 campaign. Rookie tight end Rob Gronkowski caught two touchdowns in leading the Patriots to their seventh consecutive win. Alge Crumpler had a 4-yard touchdown catch, Danny Woodhead scored on a 29-yard run and Shayne Graham hit two field goals. Brady finished 15 of 27 for 140 yards, and has gone nine games without an interception since throwing two in a 23-20 win over Baltimore on October 17th. Gronkowski, who is from Buffalo, finished with four catches for 54 yards, and now has nine touchdowns. 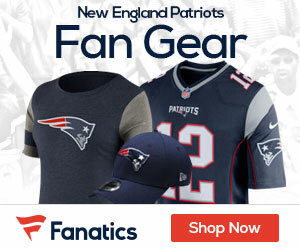 New England forced seven turnovers on Sunday, five of which were committed by Buffalo quarterback Ryan Fitzpatrick. The QB completed 18-of-37 throws for 251 yards, but was intercepted three times and fumbled twice. Fred Jackson rushed for 81 yards on 13 carries for the Bills, who had a two-game winning streak snapped. The Patriots clinched the division for the eighth time in the past 10 seasons overall, and will look for their 14th win next Sunday at home vs the Dolphins. In the spirit of the holidays I am doing some ‘paying it forward’ for my sports brethren…I am sure some of you see your fare share of traveling…perhaps countless delays in airports, etc. I found a way to pass the time in airports when all else fails; watch all your favorite sports teams for FREE: http://www.IMustBeInTheFrontRow.com.